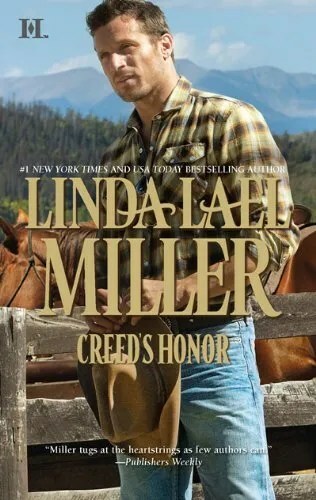 On the heels of the #1 New York Times best-seller A CREED IN STONE CREEK, “First Lady of the West” Linda Lael Miller is back with the highly anticipated CREED’S HONOR (HQN Books; June 2011; $7.99), the second installment in the rugged and romantic “Creed Cowboys” trilogy. Miller introduces eager readers to Connor Creed, a dedicated cowboy and cousin of Steven Creed from A CREED IN STONE CREEK, who is looking for his place in the Wild West. RUGGED ROMANTIC BOOK TO GIVE AWAY.